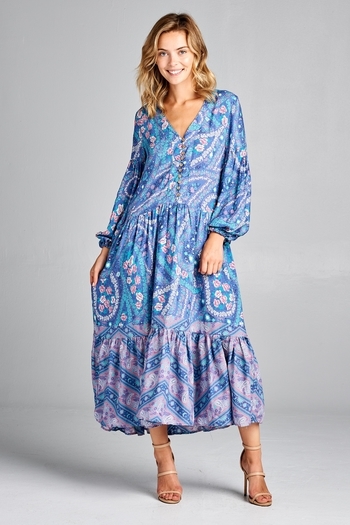 Engagement Encouraged Maxi Dress - This dark blue maxi dress’ serene essence invites fellow soiree attendees inward as powerfully as does your warm energy! 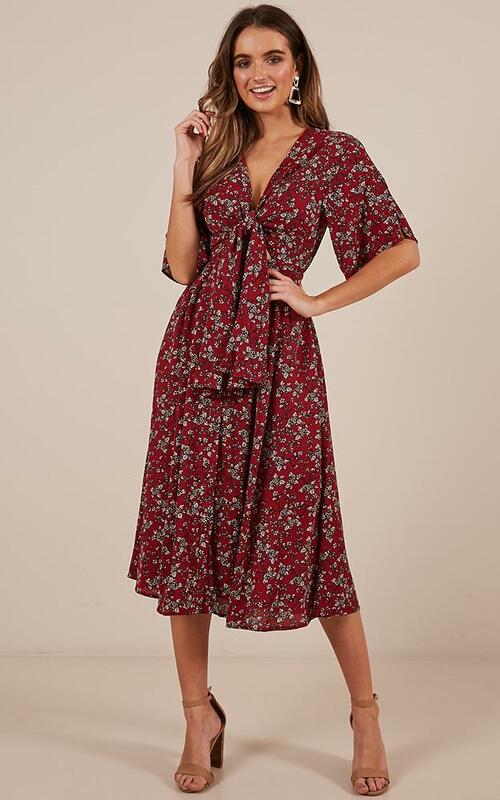 The lovely details of this ruffle-hem dress include tied ¾ sleeves, an overlapping V-neckline, a wide waistband with a smocked back, and a white-and-khaki paisley pattern. Such all-encompassing splendor!